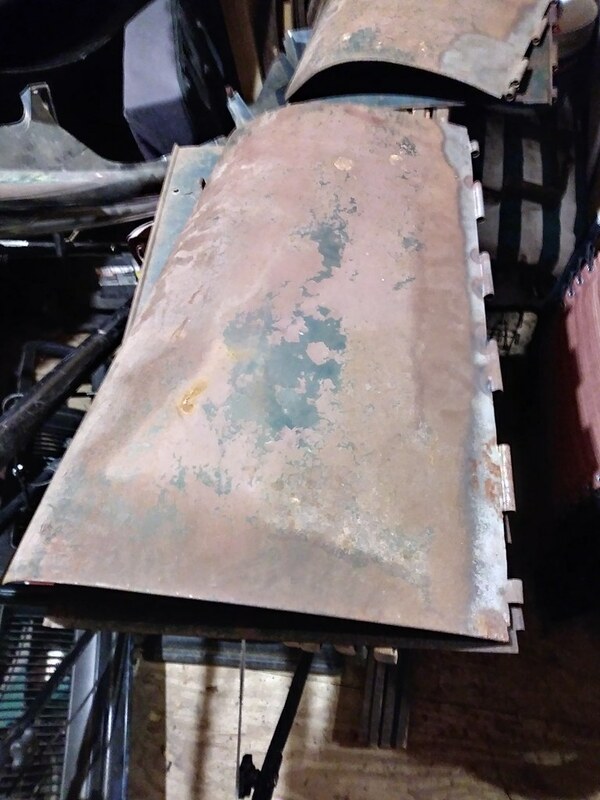 Looking for usable '28-29 Ford hood, near SF bay area. Hood should open and close ok and surface rust. 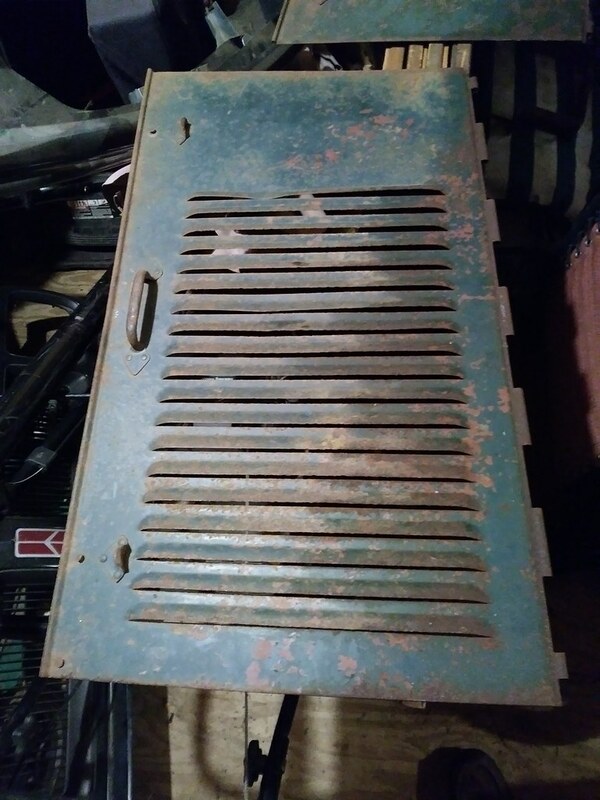 Not looking for painted/restored hood. Thank you but I'm looking for a rusty hood to match the rest of the truck. I wouldn't think it would be bank busting to box up a hood and ship it. If you pull the panels apart it should go into a relatively small box. 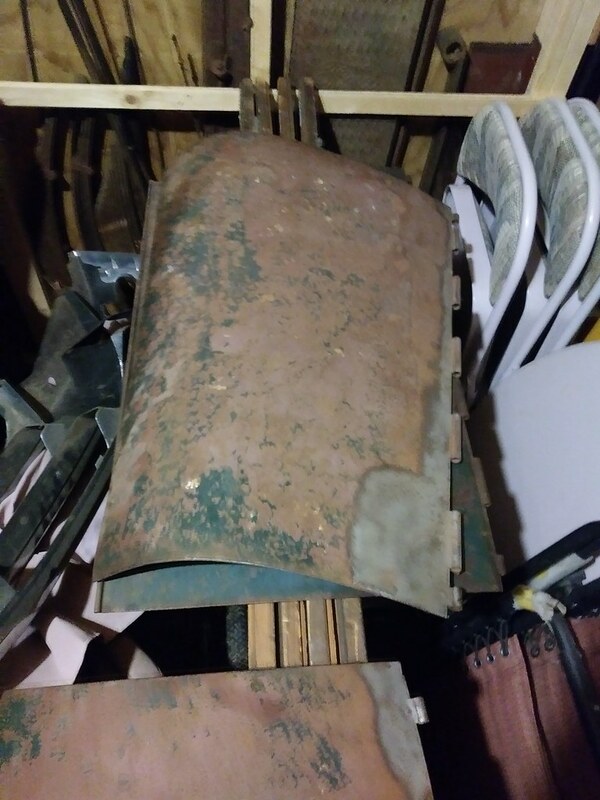 Oh its already apart and hinges straightened just keeping the wasps company in the shed Faded rock moss green paint and surface rust. Pretty straight hood from Iowa. 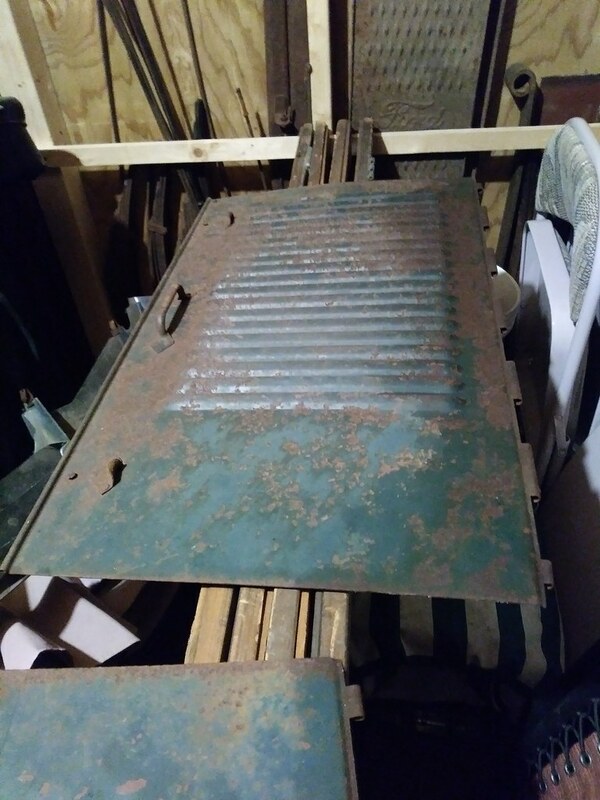 Some reason the louvers at the very ends are rusted thin but be perfect for this type of project. Forgot i had to mediablast the hinge area and we fixed one of the hinges. The brown on the hood top is some kinda primer it looks like, side panel brown is rust. Easy enough to media blast the rest of the hood tops and let it rust again. I dont have any rods but people have used wood dowel rods and FYI the center hinge rod is the same diameter and material as a horn rod. Found a hood, thanks everyone.